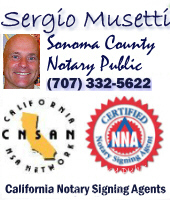 Spanish/Italian Mobile Notary Public, Certified Loan Signing Agent, California: Sonoma, Napa, Marin. 24/7. 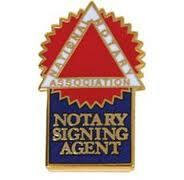 o Travel services for borrowers who are sick, elderly or disabled and can't make it into escrow. 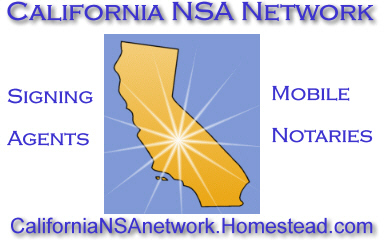 o Travel to Sonoma, Marin, Lake, Mendocino, Napa counties. o Available days, evenings and weekends.